Spring Grooming Refresh | Valet. Forget about New Years ... spring is the real time of renewal. We emerge from months of cold weather and damaging conditions, not to mention all the crap we eat and drink to get us through that hellish season. Now is the perfect time to take better care of your body. 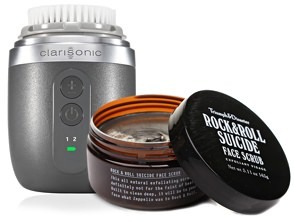 And rebooting your grooming routine is the perfect place to start. After all, a different set of climate conditions calls for a different set of steps to keep you looking your best. Start with a clean slate by exfoliating. You want smooth, clear skin? The first thing you've got to do is clear away the dead skin cells and dry patches that prevent fresh, healthy skin from shining through. Buff away all the bad stuff with a scrub like Triumph and Disaster, which is enriched with green clay to draw out pore-clogging gunk. Or use a daily cleanser with an invigorating sonic brush. Do it in the shower while your pores are open (and clean up is much easier). With the weather getting warmer each and every day, so too increases the likelihood that you'll be sweating a bit more and your face will excrete more oil. Combat that greasy shine by washing your face in the morning with a mattefying cleanser that will remove excess oil and control shine, keeping breakouts at bay. Lighten up your daily moisturizer. Over the winter, you likely needed a thick, rich moisturizer and had to slather it all over your face and neck to keep your skin hydrated. But come spring, that same lotion will likely feel too heavy. Swap out your moisturizer for a lighter version and make sure it's got sun protection built into it. 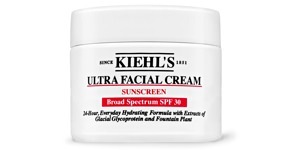 Kiehl's new Ultra Facial Cream is a fast-absorbing moisturizer that you can dab on and spread easily over your face. 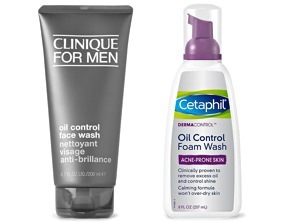 It won't leave your face greasy and comes with a broad spectrum SPF 30. Trim away winter damaged hair. You know the winter is harsh on your skin. But it's equally damaging to your hair, especially if you've got a longer style. No matter the length, it's always a good idea to refresh your look come spring with a haircut—snipping off burnt-out bits and unhealthy split ends. And bonus: shorter hair doesn't get nearly as sweaty. Swap shampoo for a light conditioner. 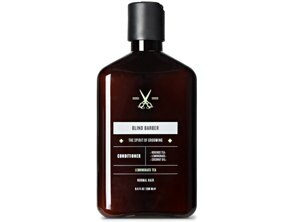 "I try not to shampoo my hair too much because it strips the natural oils and dries out your scalp," says Blind Barber's Jeff Laub. "But you can condition every other day or so." When it comes to choosing a conditioner for warmer weather, look for keywords like "weightless" and "light"—nothing that's going to weigh down your hair. Which is why we like Blind Barber's citrusy conditioner. It's great at removing product buildup while replenishing your hair's natural oils. Those unused products collecting dust? Pitch them. Besides the obvious benefits of decluttering, getting rid of old (and possibly expired) grooming products will ensure you're not putting any ineffectual products on your body. Not sure if a product is past its prime? Look to see if the water has separated from a cream or if the color or smell has changed. Want to look less tired? Want smoother more healthy skin? We've found what you need.